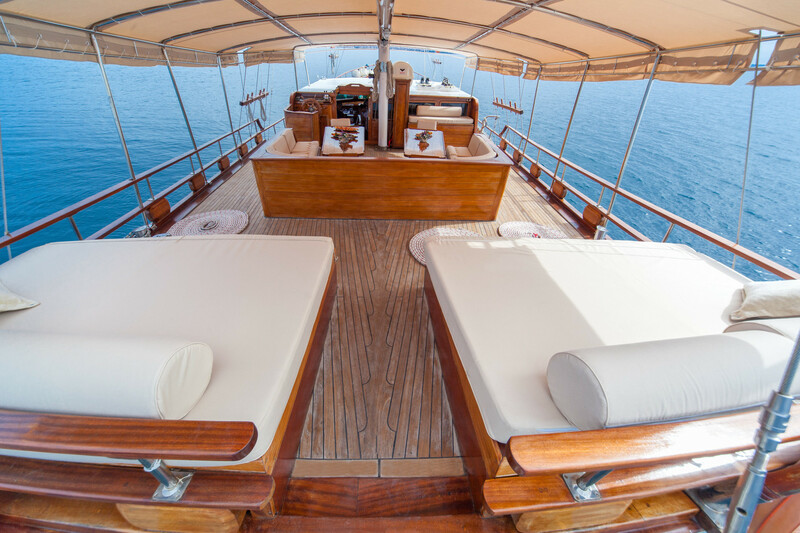 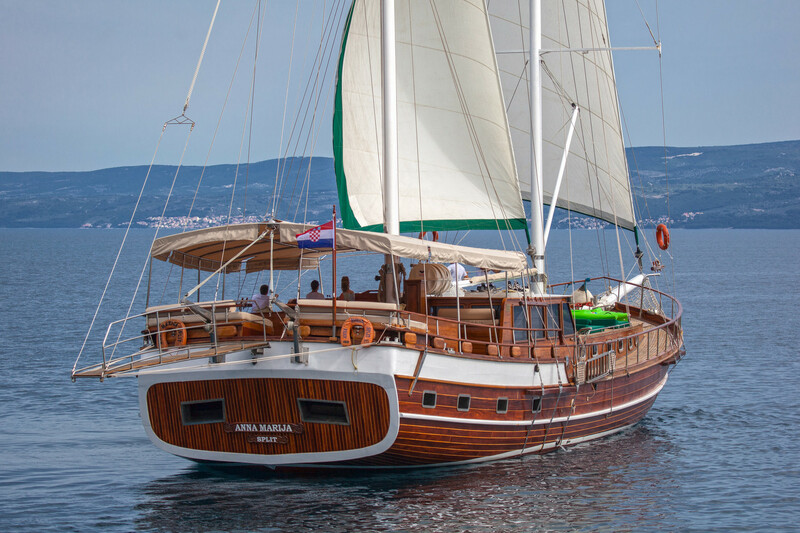 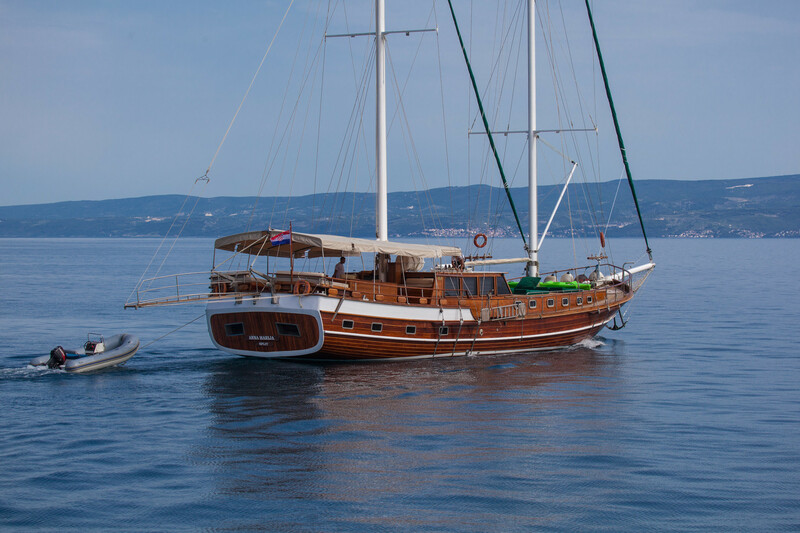 Anna Marija is a representative 30m long and 7,10m wide luxury gulet. 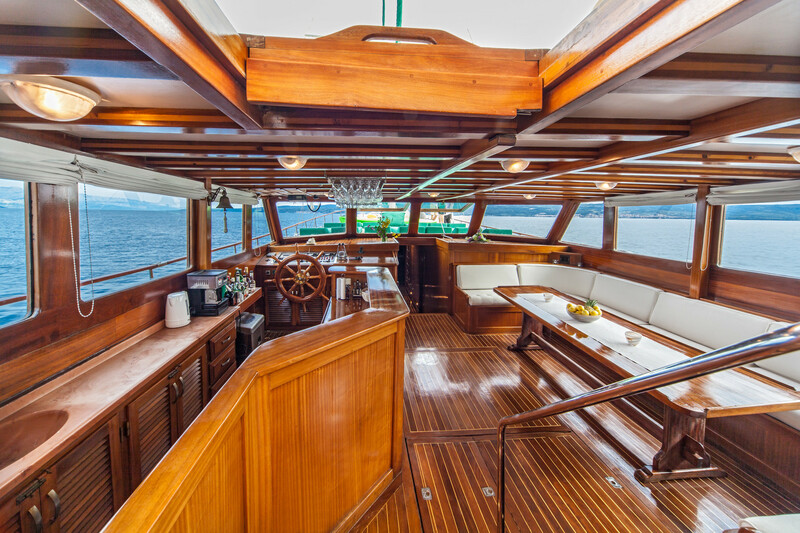 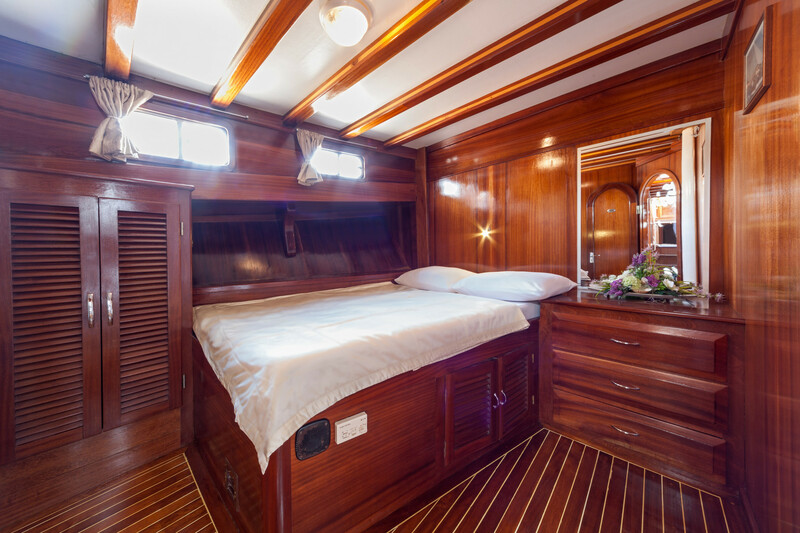 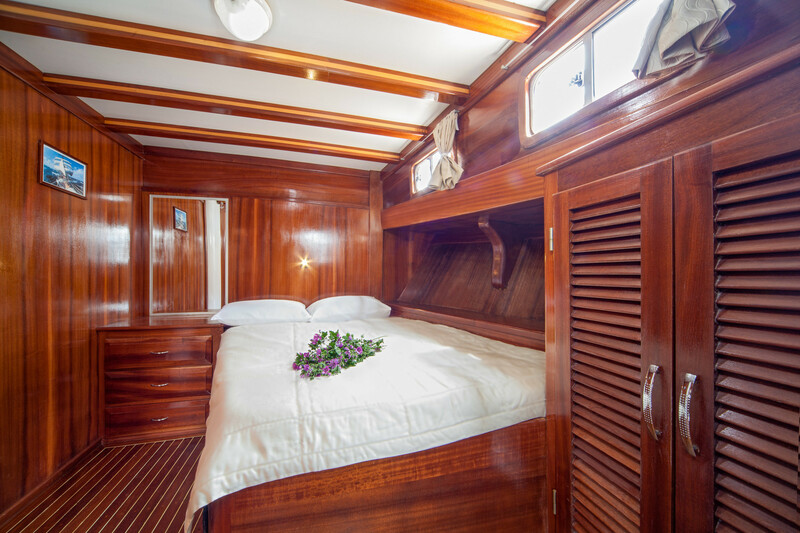 As well as with its beautiful appearance on the sea it will charm you with its accurately decorated interior. 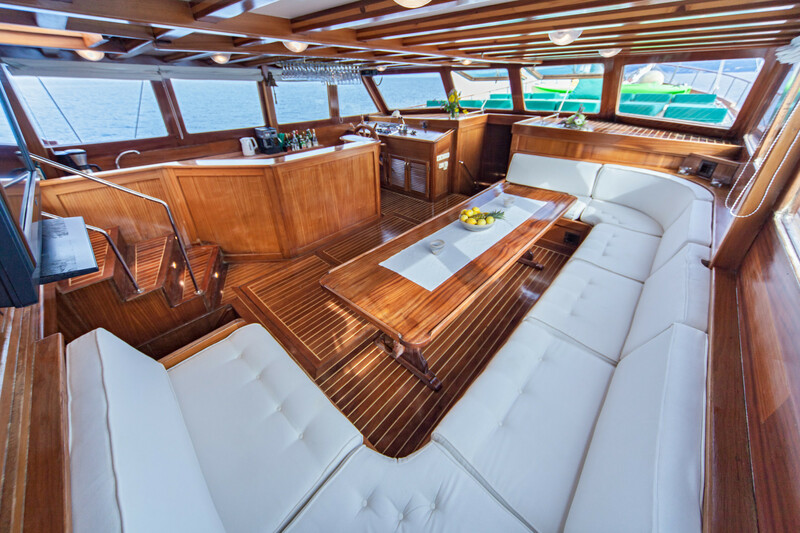 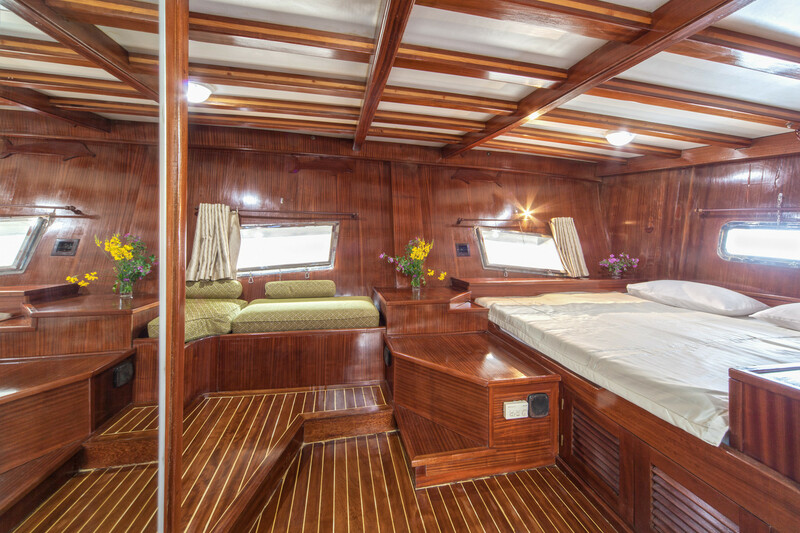 A spacious stern deck is broad and fitted out with comfortable cushioned benches that are perfect for any sort of relaxation – reading a book, taking a snack or having a drink with friends. 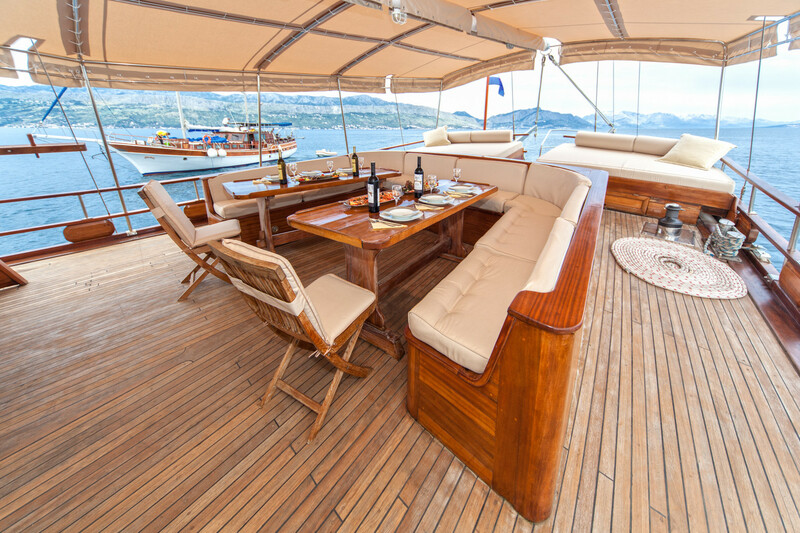 It is also covered with awning as a protection from the sun. 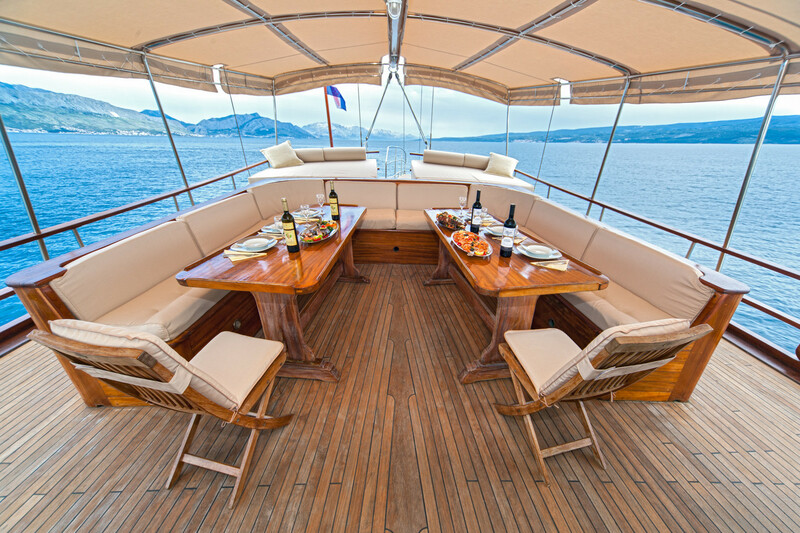 Fore deck is predicted for enjoying the sun. 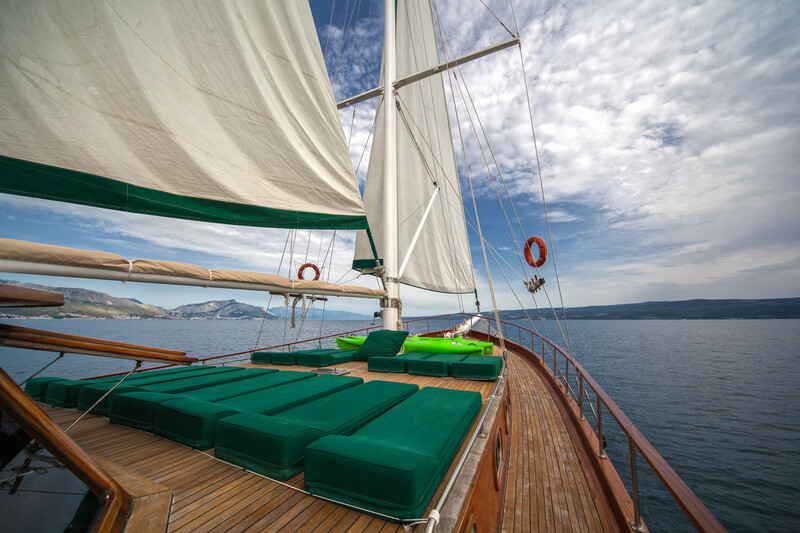 Deck chairs covered with comfortable cushions are oasis for those who love the feeling of sun rays on their skin. 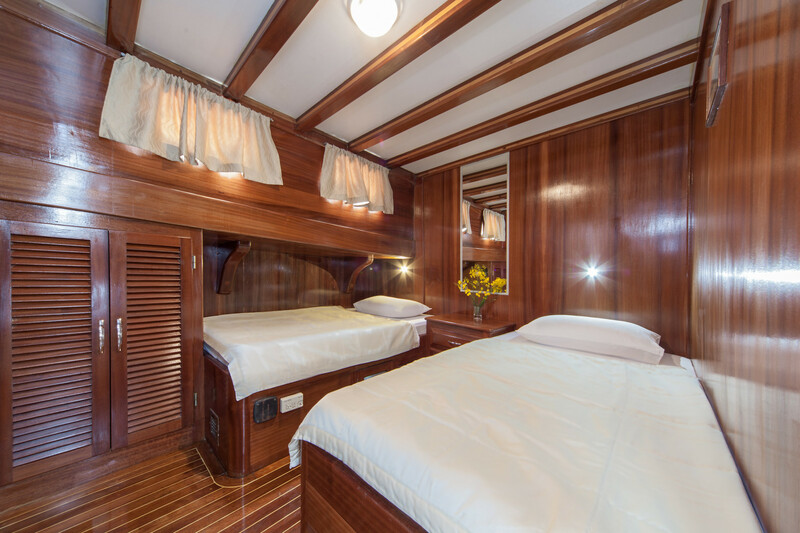 In comfortable and spacious indoor saloon there is a dining area with a bar. 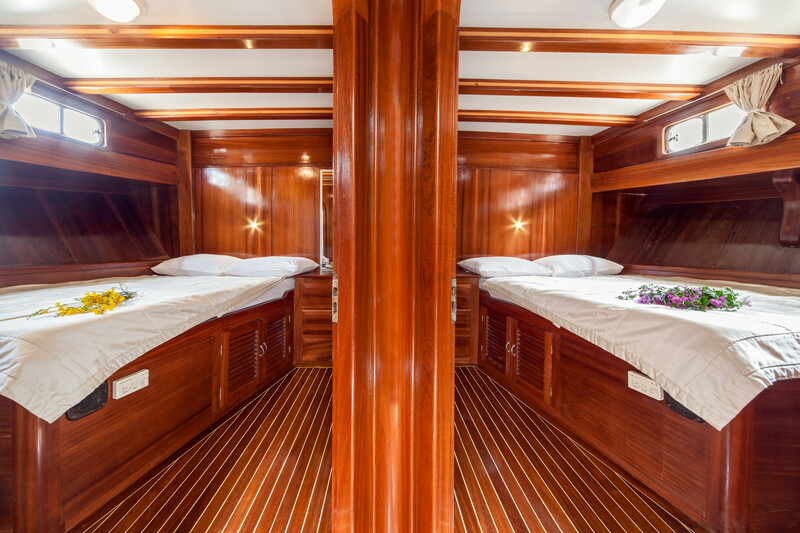 It has 6 cabins - 3 double, 2 twin and 1 master cabin, which are predicted to accommodate up to 12 people. 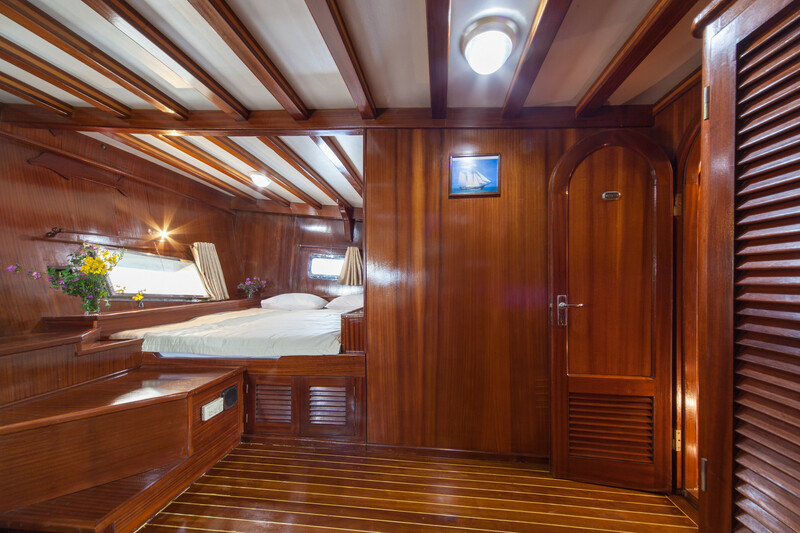 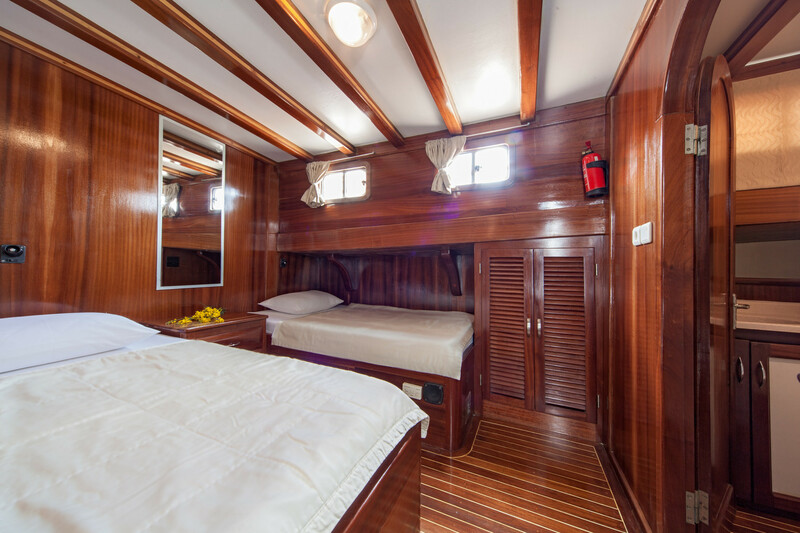 Master cabin and 1 double bed cabin are situated in the stern deck while 2 double bed cabins and 2 twin bed cabins are placed in the fore deck. 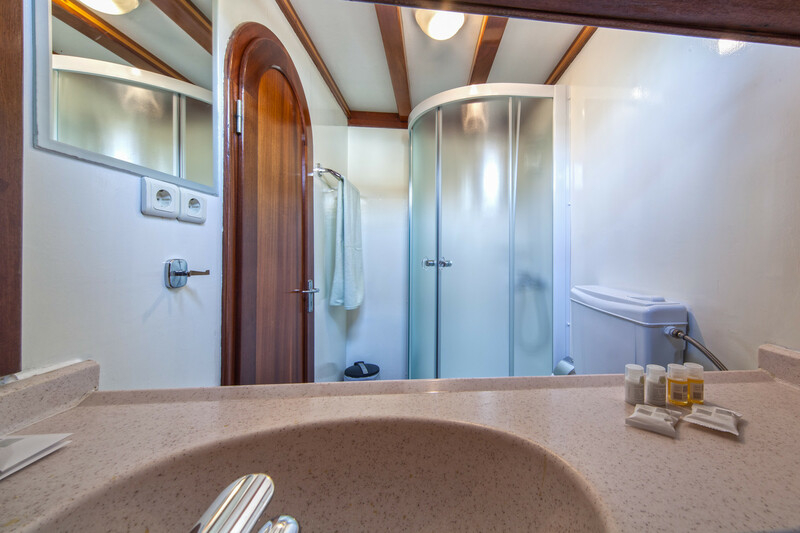 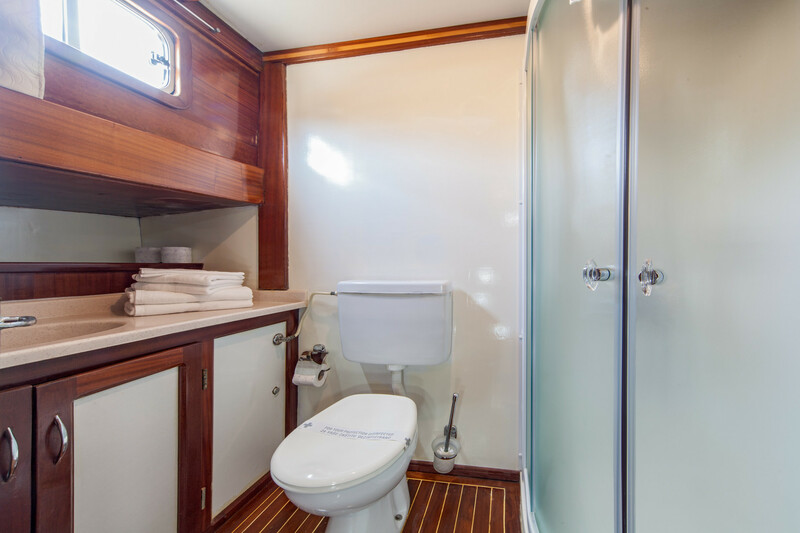 Each cabin has its own bathroom with toilet and box shower, including hair dryer and cosmetic accessories. 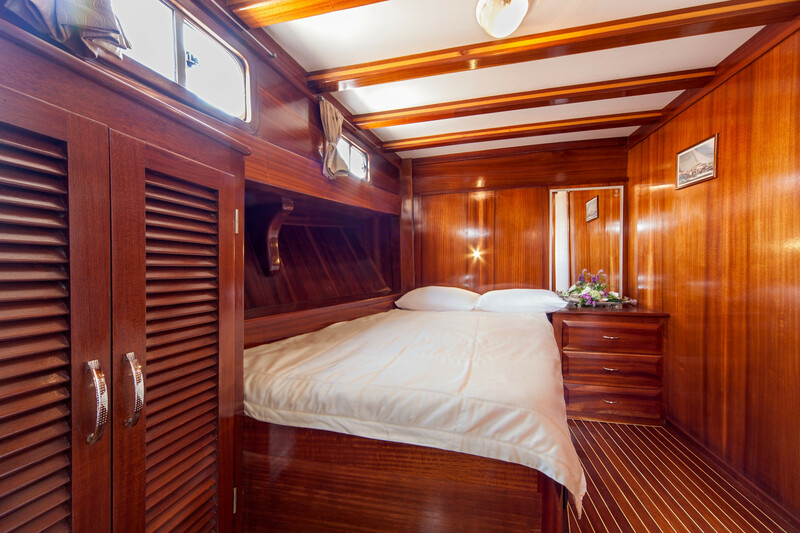 All cabins and a saloon are with air conditioning. 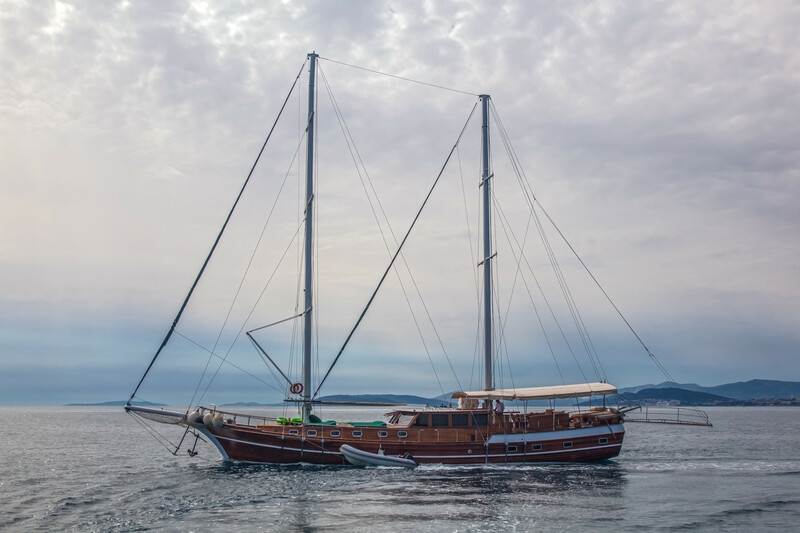 Gulet Anna Marija has four crew members – captain, cook and two sailors. 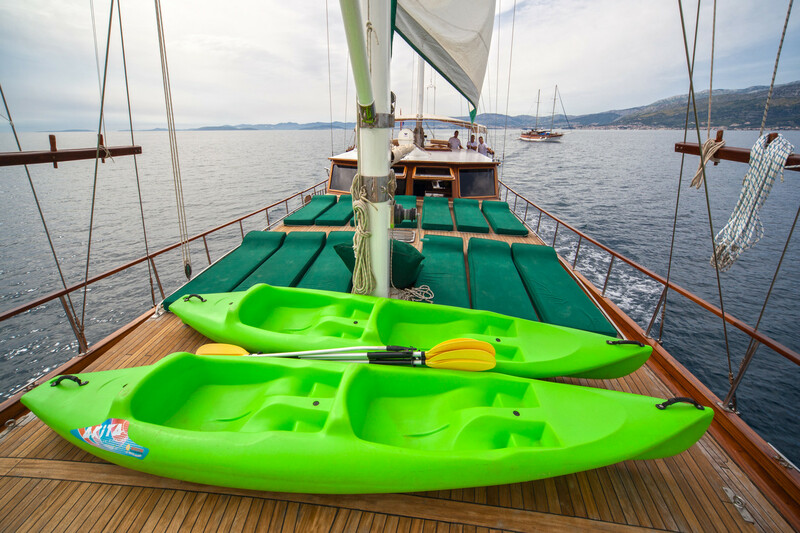 Among sport equipment there are: Tender, water ski, wake board, banana boat, 1 stand up paddle board (SUP), two-seat kayaks (2), masks, fins, swimming noodles. 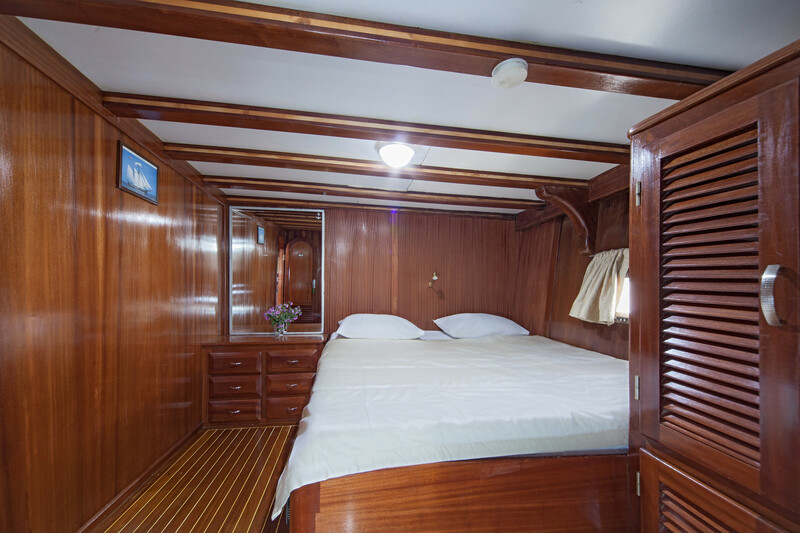 Additional equipment includes: TV/DVD, Hi-Fi, Wi–Fi, games. 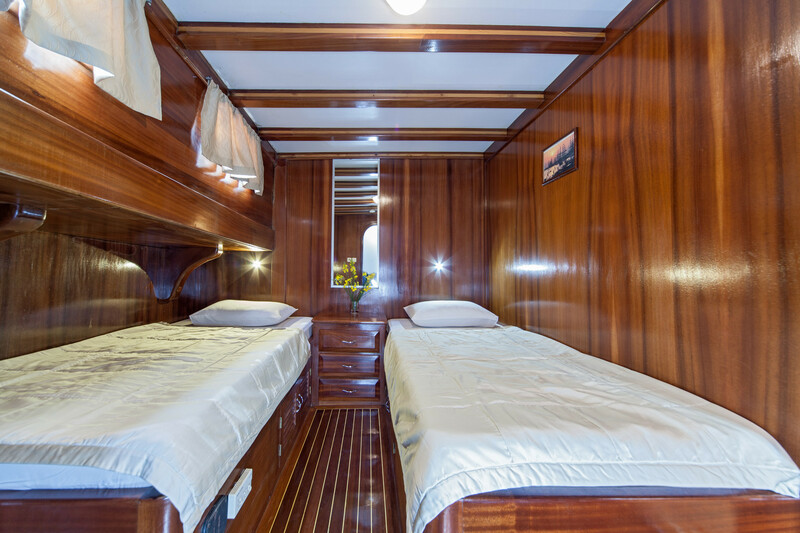 The price includes: 7 day cruising, 4 crew members, insurance, port and tourist taxes, fuel for 4 hours of navigation per day, up to 5 hours of generator work per day (for air conditioning), equipment on the boat, bed sheets and towels, beach towels, half board (7 breakfasts, 6 lunches and 2 dinners - including the Captain's dinner), still water, tea and coffee, WI - FI Internet (1 GB/day). 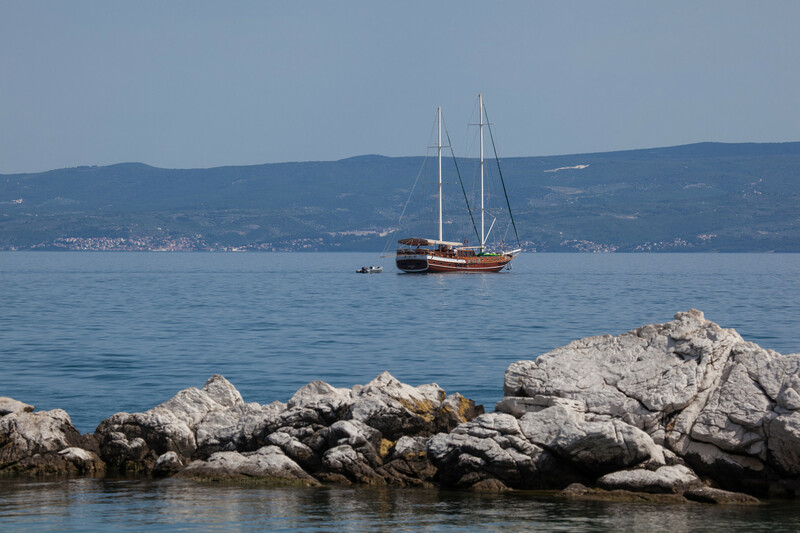 The price doesn't include: transfer, entrance to the National Park, private marina fees (if requested from clients), water sports (water skiing, wake board, banana boat: €100 / hour), tips, personal extras and all additional costs not mentioned above. 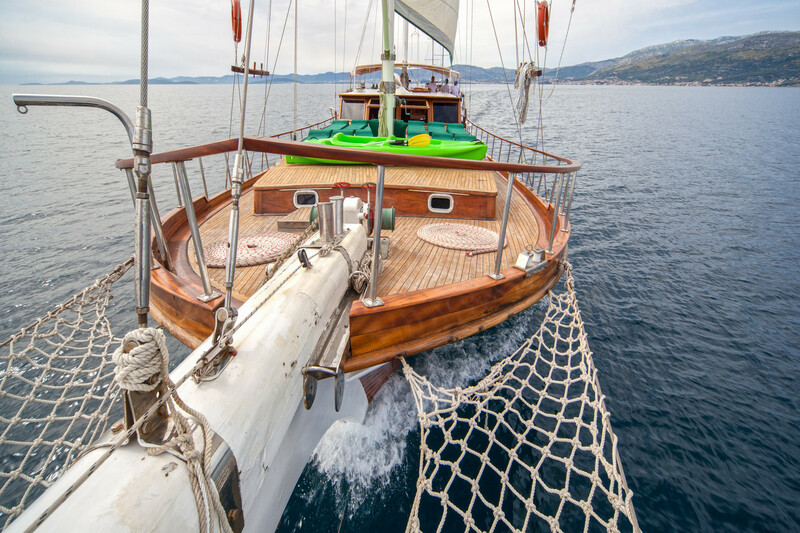 Supplement for Dubrovnik route (route 3 and route 4) : €60 per person / optional. 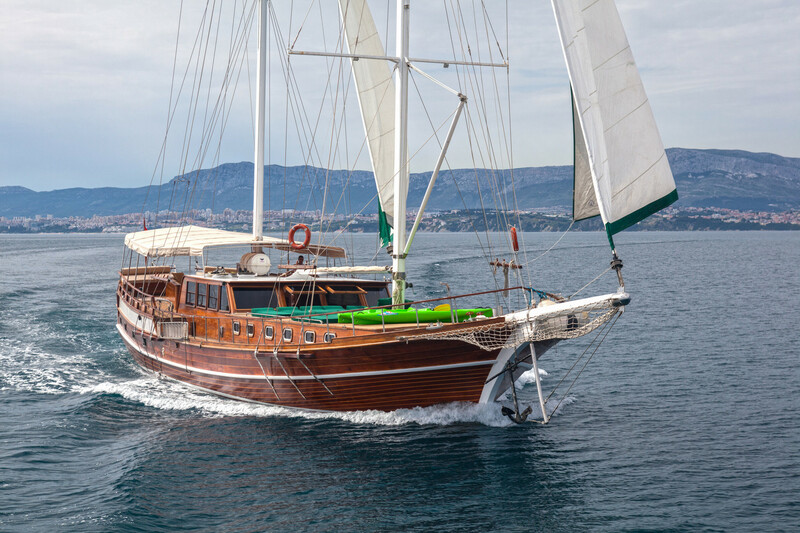 Captain holds the right to change the route in the case of unfavourable weather conditions. 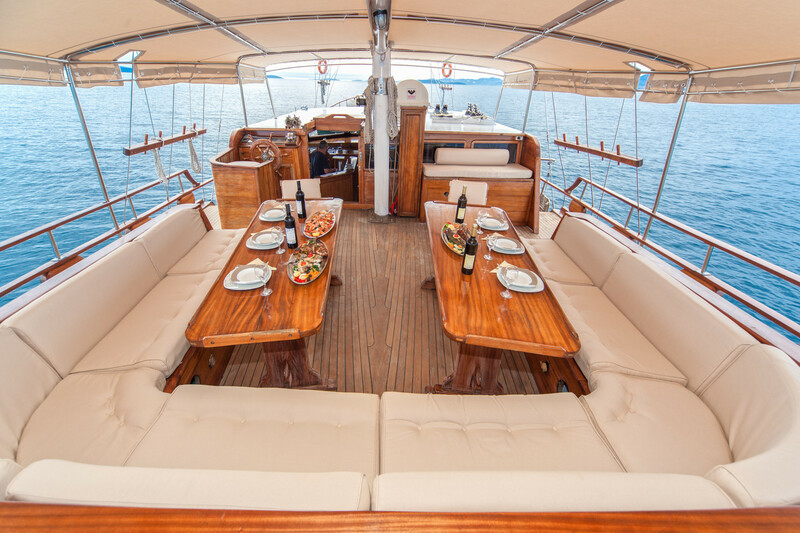 It is not permitted to bring your own food or beverages on-board. 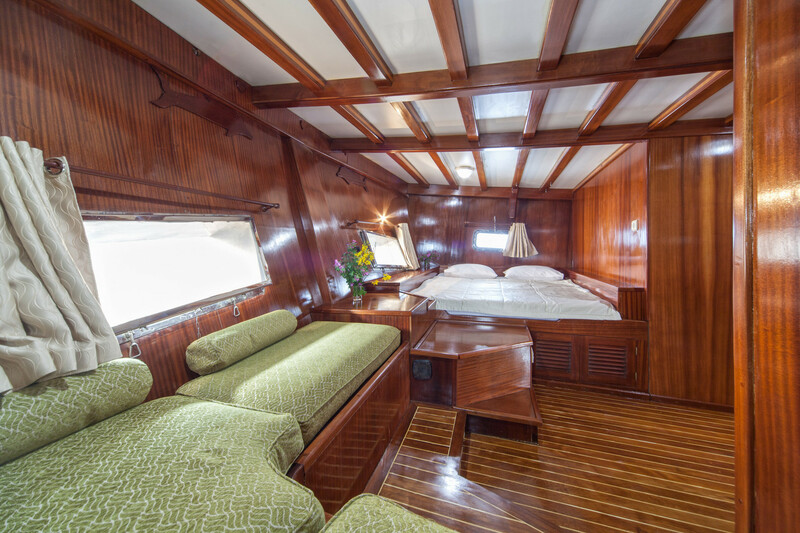 Take a look at our offer of cabin charter and book your vacation now !